It's under the amazing glass roof of the "Grand Palais", that is held since 2013, "Revelations", the International Biennale of the Crafts of Art & Creation. 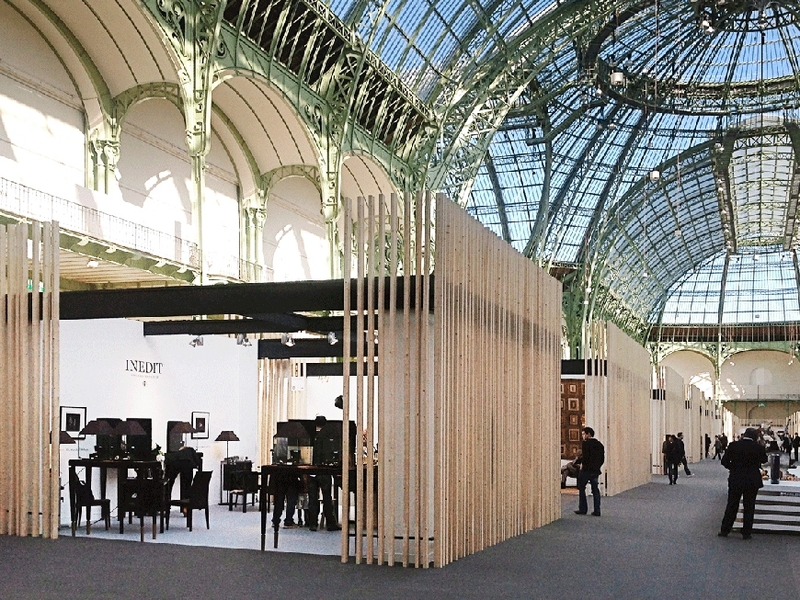 Thus, in 2013 and 2015, in order to mark the exceptional nature of this event, Inédit sets up its manufacturing workshop in Paris, at the Grand Palais, in order to create a piece of jewelery, under the gaze of visitors. 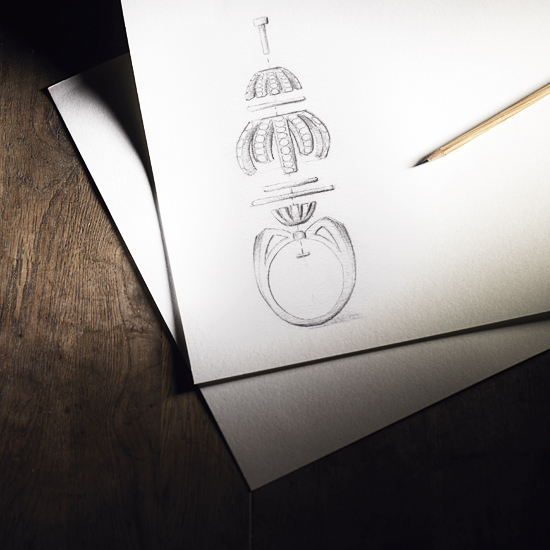 This was our first participation to this event and the idea was to make a ring, incorporating the drawing and the architectural concept of the grand glass roof of the Grand Palais, made on a riveted and solderless structure. The public was able to discover the creation and the production of this piece, started on the opening day of the event, on Wednesday, September the 11th and ended on Sunday, September the 15th, 2013 at 4.30 pm. 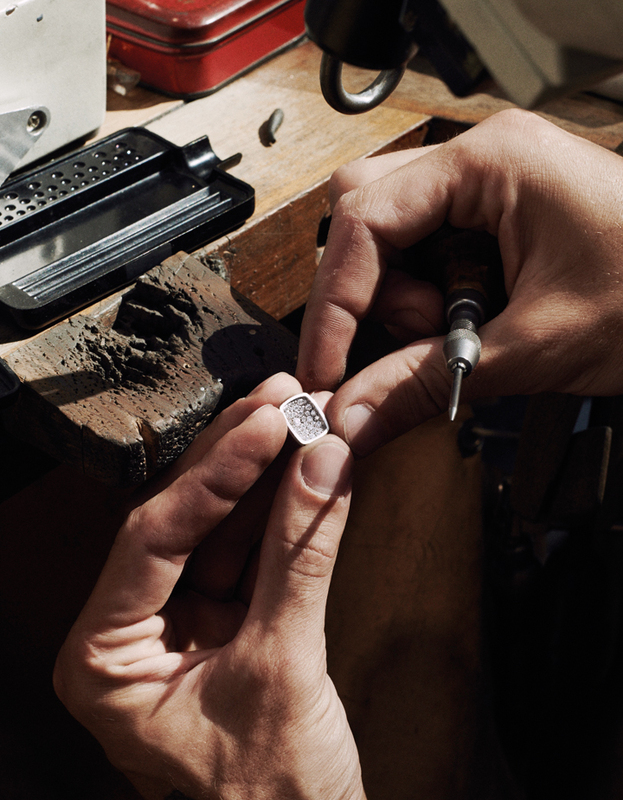 This is the first time that the creation of a jewel was inspired by the Dome of the Grand Palais, which, moreover, has been manufacturing on the spot, and this, in tribute to the first edition of the Biennial of Crafts of Art. 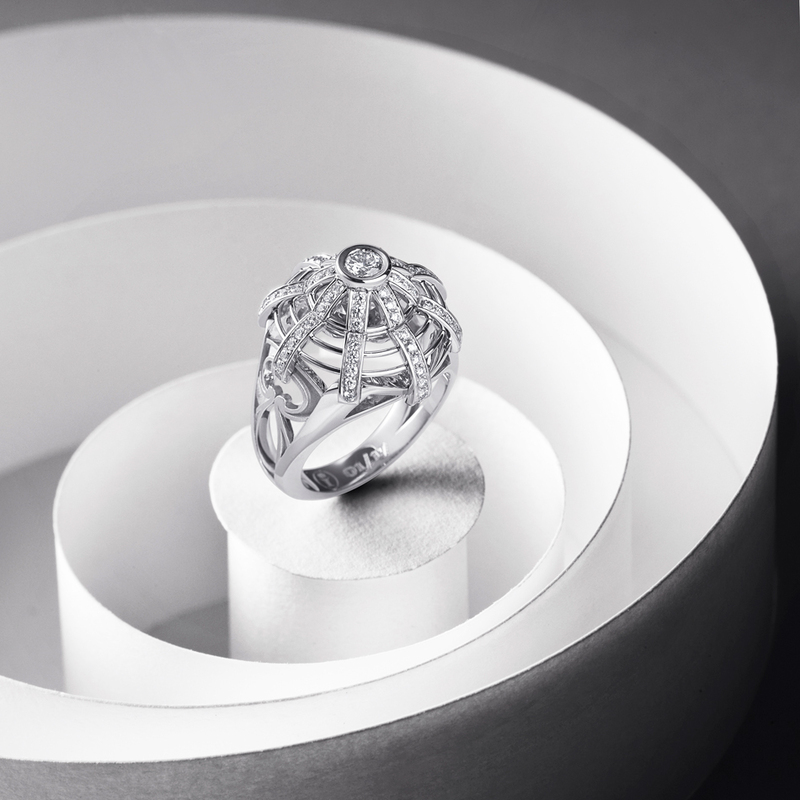 The "Grand Palais" ring became the first creation of a collection of unique pieces created for this type of event. A reissue of this ring is produced in a limited edition of 17 copies. For the second edition of the Biennale of the Crafts of Art & Creation, which took place in 2015, we took our inspiration in geology, domain at the origin of the Jewelery. Thus, the "Strata" ring, was imagined as a relief, where organic and mineral materials are assembled, which gave to this ring an astonishing contrast between colors, opacity and transparency. 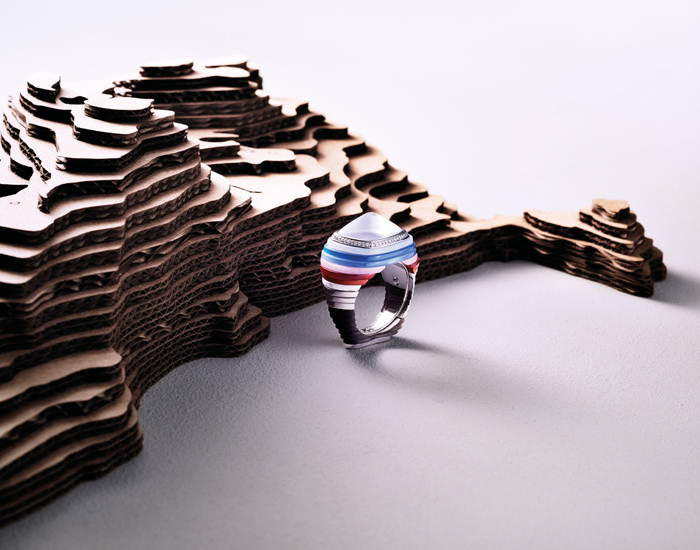 The "Strata" ring is made of white gold, ebony, carnelian, opal, agate, jasper and diamonds overlaid with a rock crystal.